Dalton Sargeant has joined MDM Motorsports to compete in the final two races of the 2017 NASCAR Camping World Truck Series season — Friday’s race at Phoenix International Raceway and the Nov. 17 race at Homestead-Miami Speedway. The Phoenix race will be Sargeant’s first Truck Series race since 2015. 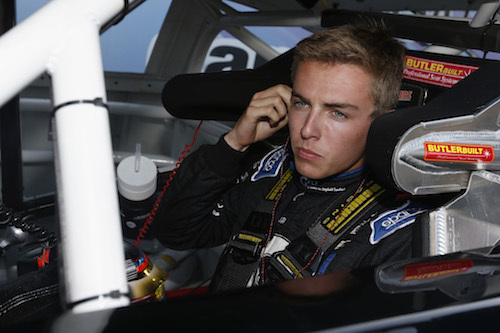 He has four-career starts in the series, all coming in 2015 for Wauters Motorsports. He finished in the top-10 in two of those races with a best of ninth at New Hampshire Motor Speedway in Loudon. Those four races include a race at Phoenix in which he finished 19th. Sargeant is a regular in the ARCA Racing Series, the series in which he’s raced the last two seasons. He won three races and posted 10 top-fives and 18 top-10 finishes in the 20 races that made up the 2017 ARCA season. MDM Motorsports won earlier this season at Michigan International Speedway with Darrell Wallace Jr. in its truck.